Forbes contributor, Tony Bradley, published an in-depth article about how to access your “digital legacy” so future generations can keep your memories and archived pictures alive. This is a trending topic, as TIM HERRERA, in The New York Times, shares more insights on the urgency to have a plan and preserve your entire digital profile after death. From Facebook, LinkedIn, Twitter and Google, what happens to your archives after you die? Read more. A recent press release from ScanMyPhotos.com explains that the average household has about 5,500 analog snapshots. That means generations of photos are quickly fading away from the ravages of time. 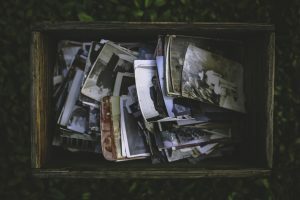 People post billions of new images from mobile devices every day, but the powerful social media storytelling platforms are mostly devoid of the history of treasured nostalgic memories. Welcome to 2017! This year is our oyster and the possibilities for fresh starts and new beginnings are seemingly endless. 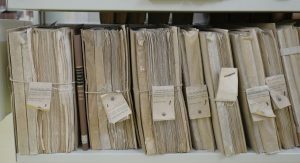 So, in the spirit of staring things off on the right foot, we thought it would be a good time to address a popular resolution: Getting organized in 2017. If this happens to be your resolution, you’ll want to check out the following articles and take lots of notes. Why it’s a must read: For those who can’t even begin to fathom how long it will take to organize digital photos, this article shows how this new app will do most of the heavy lifting for you. The annual National Preparedness Month is a time where we encourage everyone to create a plan for when disaster might strike. For us here at ScanMyPhotos, disaster comes in many forms—whether it’s an act of nature (fire, flood, earthquake, etc. ), a divorce, separation or death, or a computer or electronic device crashing. That last one is something we want to create a plan for this September—particularly when it comes to determining how many backups you should have for your digital photos. We’ve heard it before—in the blink of an eye thousands of digital photos can get wiped out when a hard drive gets corrupted or a computer starts blinking the blue screen of death. This is especially true for digital photos that were taken in the early days of digital photography. Some of these photos were taken before the cloud and are living on laptops or SM cards that are tucked away in storage. Having backups created is essential, but many people believe it stops with simply backing up photos to the cloud. The truth is: your photos are only as safe as the number of backups you have.